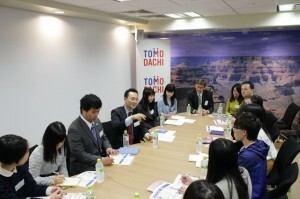 The roundtable set the stage for the inaugural TOMODACHI Career Panel on Medicine & Research Science. Over thirty students gathered to hear about the experiences of five inspirational panelists from a wide variety of fields, including Oncology, Pediatrics, Infectious Diseases, Psychology, Engineering, and Disaster Management. The panelists spoke about how they became interested in their respective fields, which role models and mentors were influential in their lives, and the types of opportunities that are available in their fields. 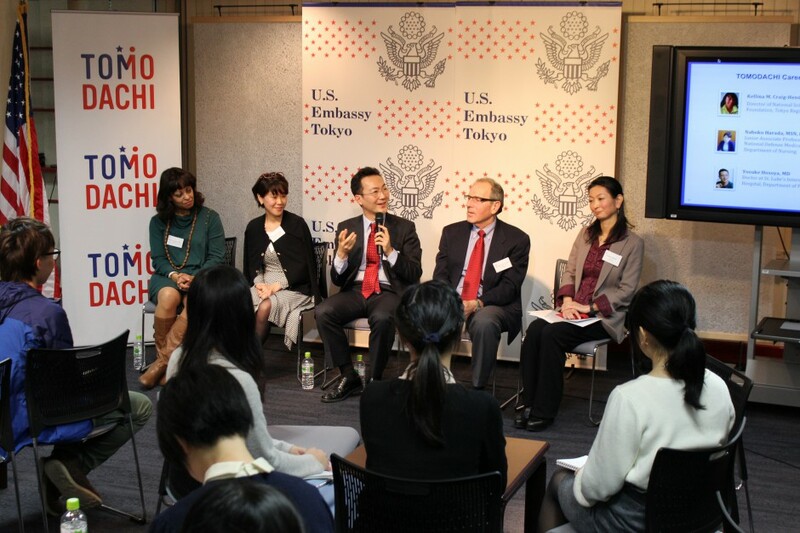 Participants enjoyed this opportunity to hear about diverse experiences, as the panel was comprised of men and women, Americans and Japanese, and doctors and researchers. The event was also attended by corporate representatives and Embassy officials.